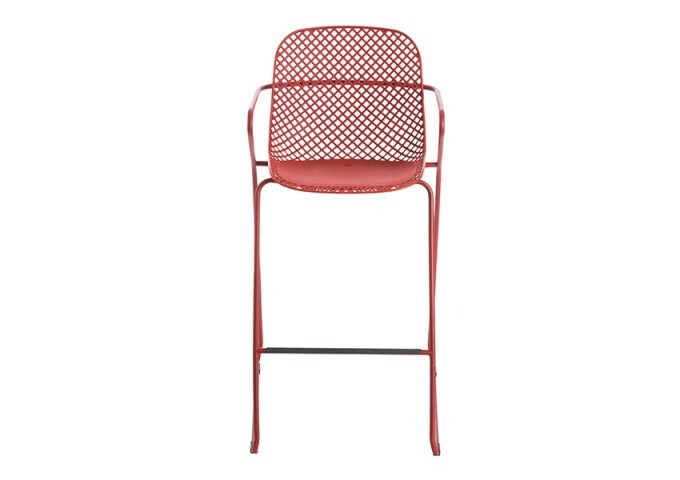 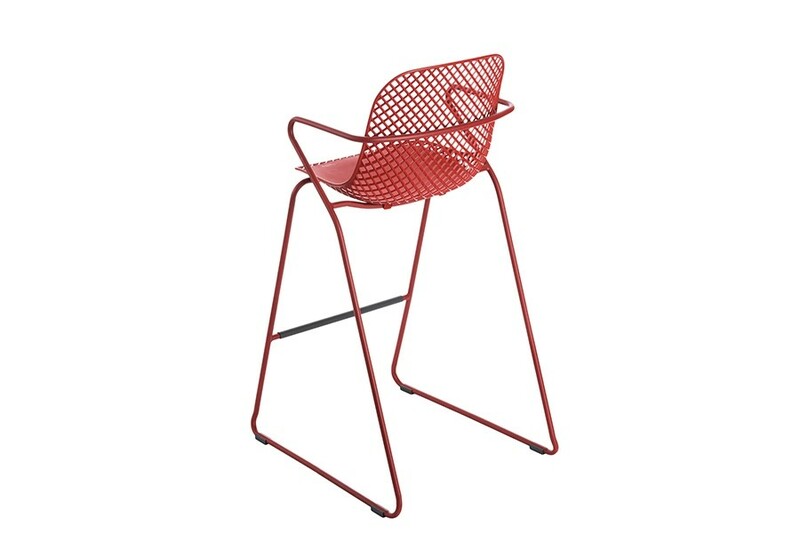 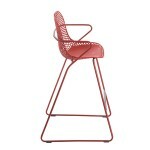 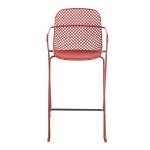 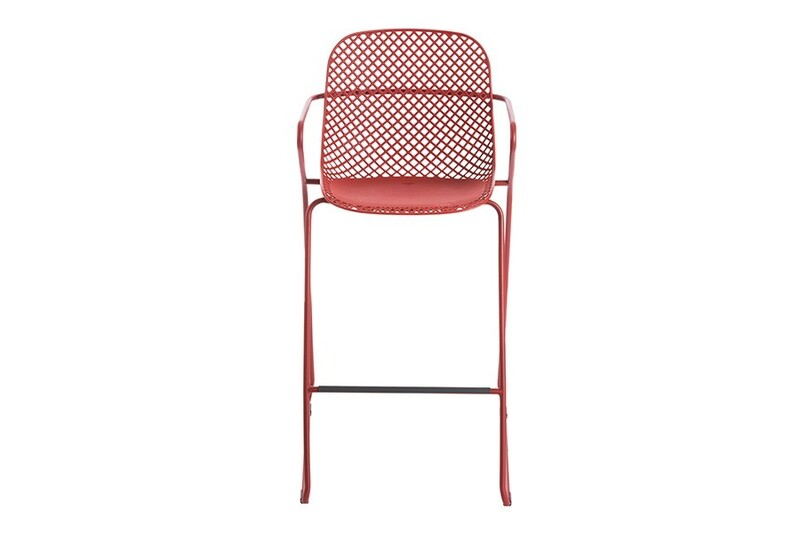 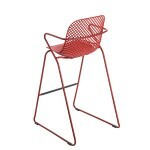 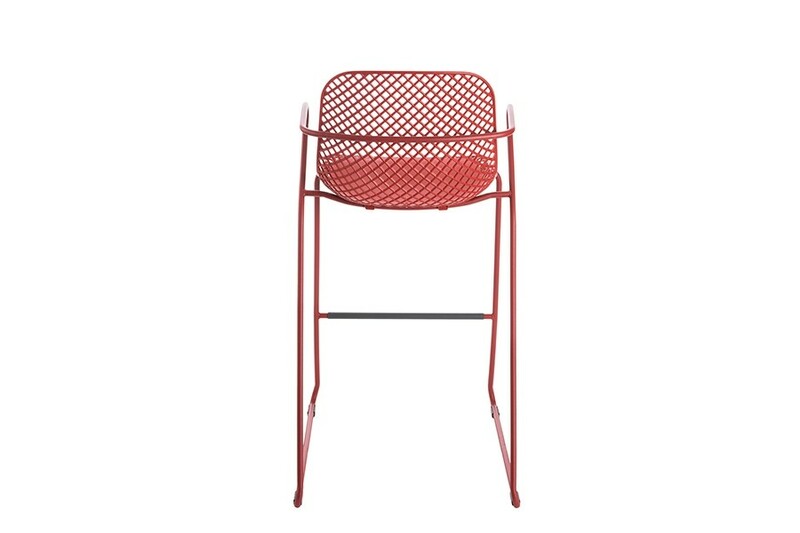 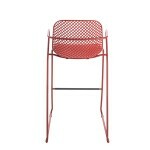 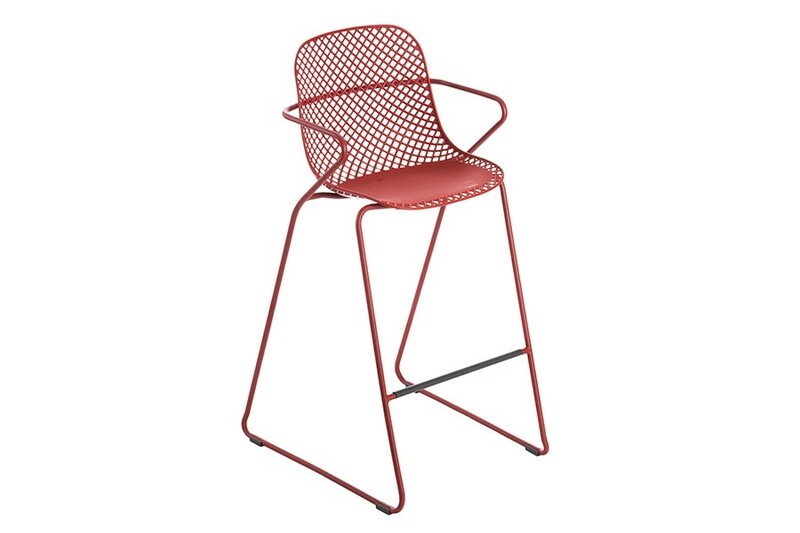 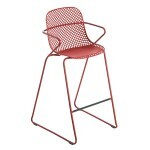 Distinctly contemporary in design and guaranteed to suit almost any modern outdoor setting, a set of these red Remy Stacking Bar Stools are certain to catch the eye of guests and look effortlessly chic. 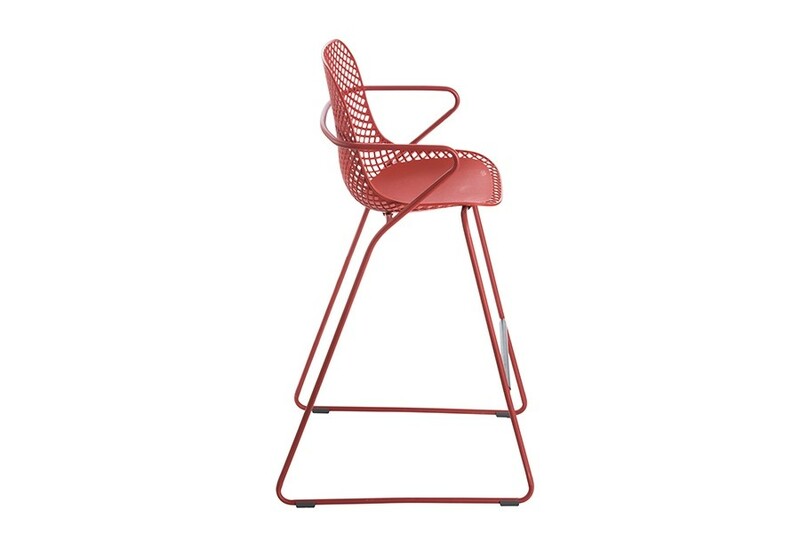 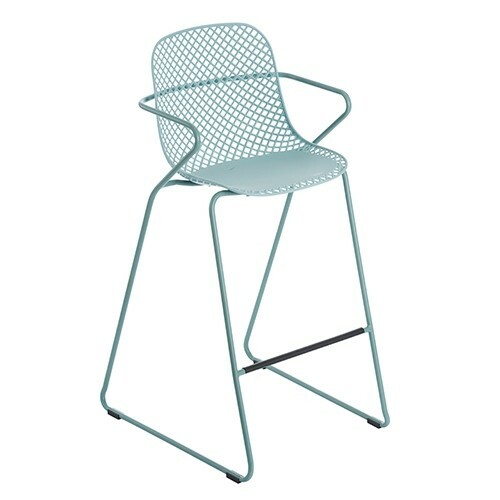 Lightweight yet incredibly robust, stackable and durable, this bar stool boasts a galvanised steel frame and resin seat that offers anti-corrosive properties. 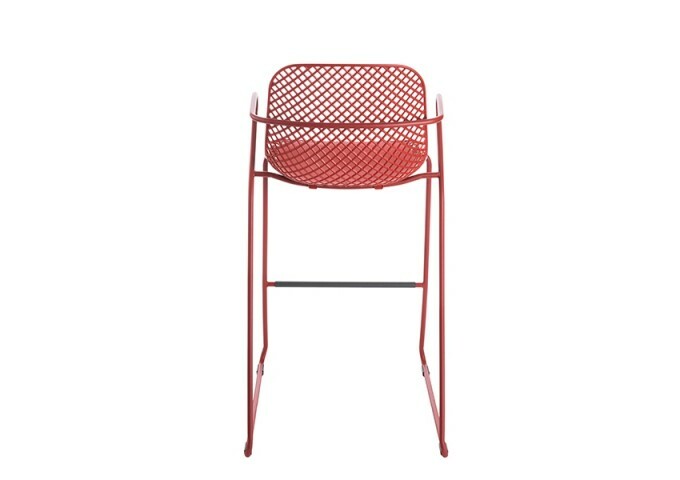 Requiring minimal maintenance to keep clean and able to be kept outside all year round without enduring weather damage, a set of these bar stools is not only stylish but superbly practical. 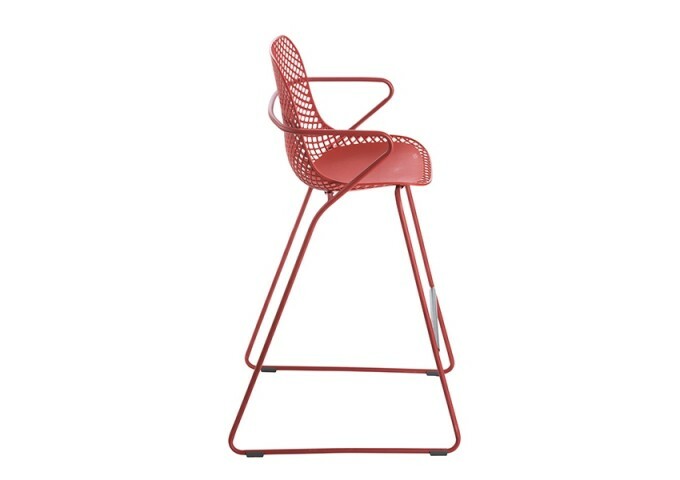 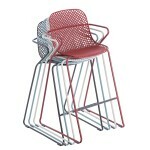 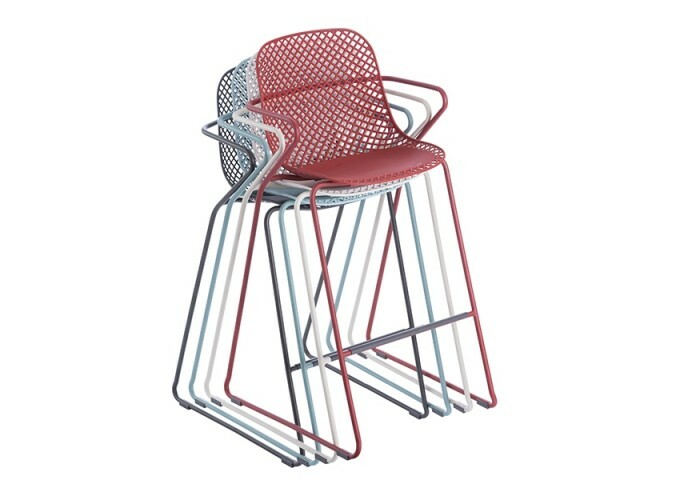 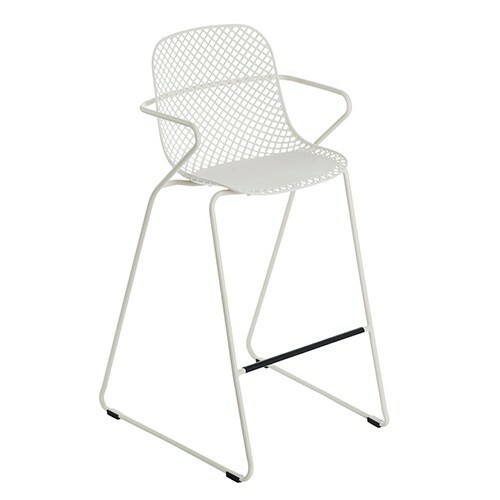 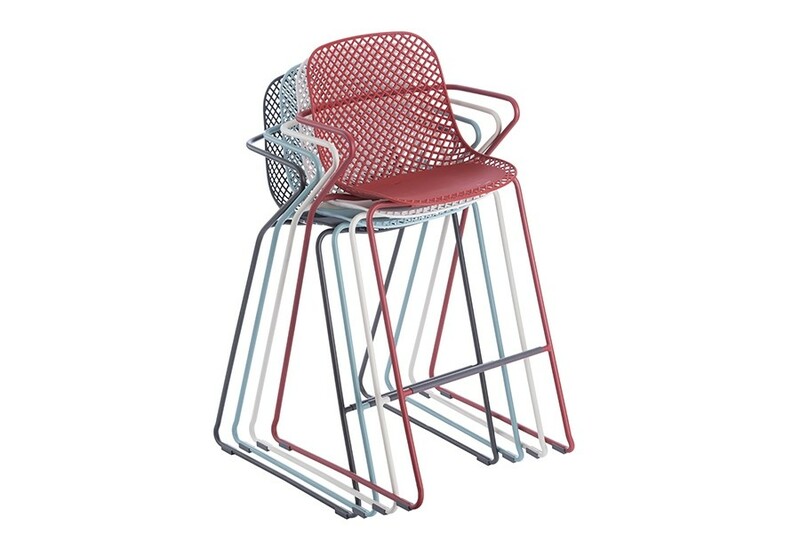 Accompanied with a comprehensive 3-year guarantee and exclusive to Bridgman, this Remy Stacking Bar Stool can be combined with other items from the Grosfillex Remy collection to achieve a fully uniform, eye-catching look.